I like the animation factor from Yakauke. It helps make my presentation more exciting. I think the benefit is complete comprehension for the viewer. Yakauka helps people understand in better detail more about what you are trying to communicate. It took some effort for me to get comfortable using Yakuake. I wish there were more shortcuts because it is a little time consuming for me to get used to. I also think animation could be even more sophisticated. It helped me create a better and more useful presentation to potential clients. I think Yakauke helped me keep them focused and held their attention vs. had I not used it. First of all, the smooth sliding of Yakuake is pretty cool. Secondly, the fact that it's based on Konsole makes it quite powerful. Bugs are still present and more features should be implemented. Skins are supposed to be supported by Yakuake but I wasn't able to find any online or a menu that suggested the skins support. The truth is that Yakuake is cool and actually more practical than the conventional terminal emulators that were available for the GUI. This terminal emulator has a lot of potential and I'm looking forward to see what new features will be implemented when KDE 4 will be available. "YaKuake, the best terminal emualtor." What I like the best about YaKuake is the one touch drop down menu, the ability to customize what is shown, its speed and one touch hide. It simplifies my desktop like no other emulator. What I dislike about it? The fact that I seem to be the only person I know that actually uses it I would love to see it as default terminal emulator on linux systems. The terminal drop down window is the wave of the future. I normally use htop as a visual process handle management too and have it running in yakuake, the speed of being able to see what processes are hanging up my systems gives me a starting point for troubleshooting software problems and system crashes. "Heavy user of Yakuake under KDE for 1 year"
The quake like animation to display the terminal and the global workflow as it does not disturb the window disposition and the terminal is available at any time. "Useful utility that can significantly boost your productivity." Yakuake is meant for KDE desktops, but it will run on others, as well. For example, I tested it on Ubuntu, with Gnome and it worked well, blending smoothly into the environment. the ability to pin terminals into the desktop wallpaper:. Another great way of having your terminal right there, without switching desktop spaces or windows. 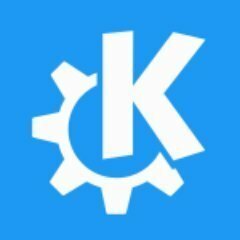 "Easy to use KDE terminal emulator"
Easy to use and supports skinning, split viewing, and profiles. Can be challenging to find community support and user tips. Allows our IT team to use computers without him having to deal directly with it. It provides a protective shell that prevents the user and computer from coming into contact with one another. * We monitor all Yakuake reviews to prevent fraudulent reviews and keep review quality high. We do not post reviews by company employees or direct competitors. Validated reviews require the user to submit a screenshot of the product containing their user ID, in order to verify a user is an actual user of the product. Hi there! Are you looking to implement a solution like Yakuake?